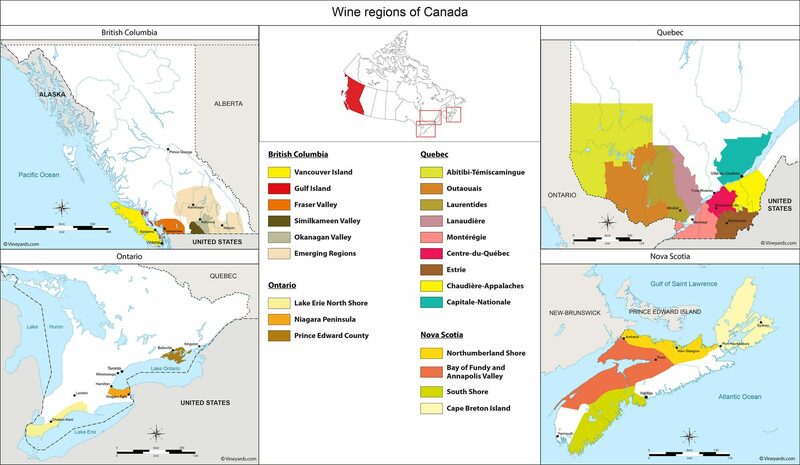 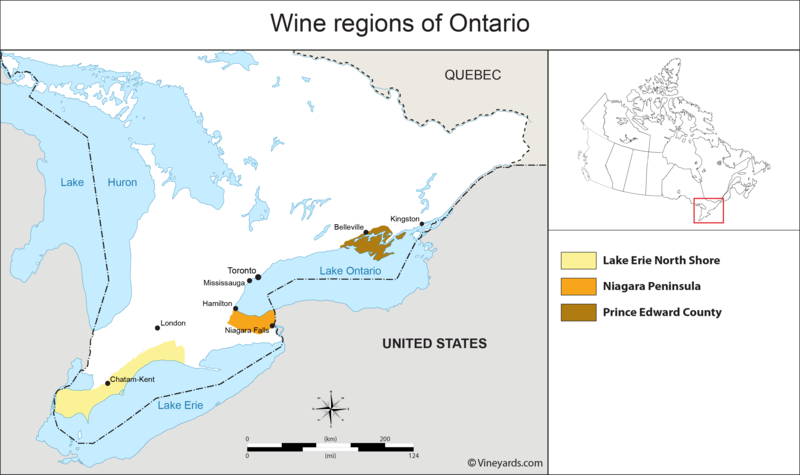 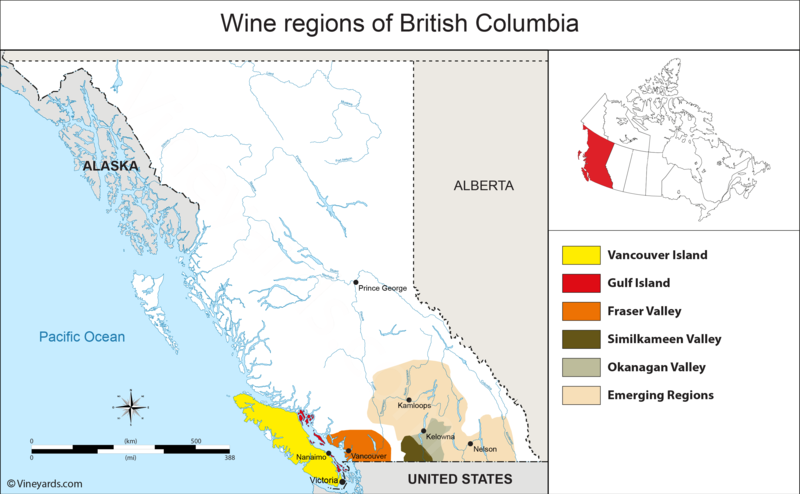 A map of the growing wine regions of Canada in British Columbia, Ontario, Quebec and Nova Scotia vineyards. 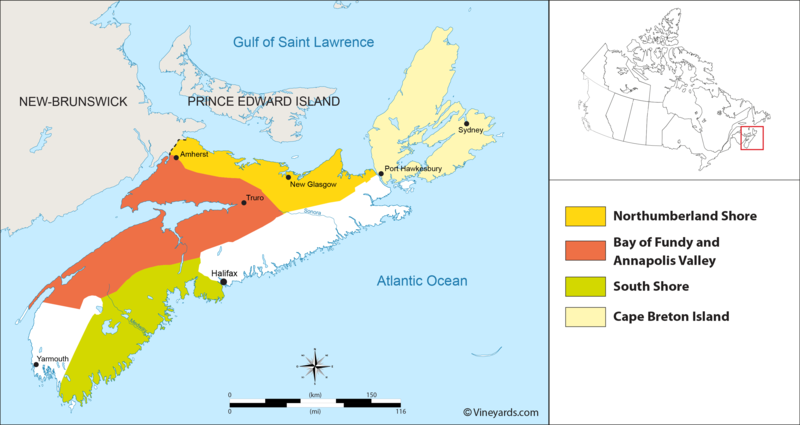 A 200 years old industry which is gaining steam these days with global warming effects and local interest. 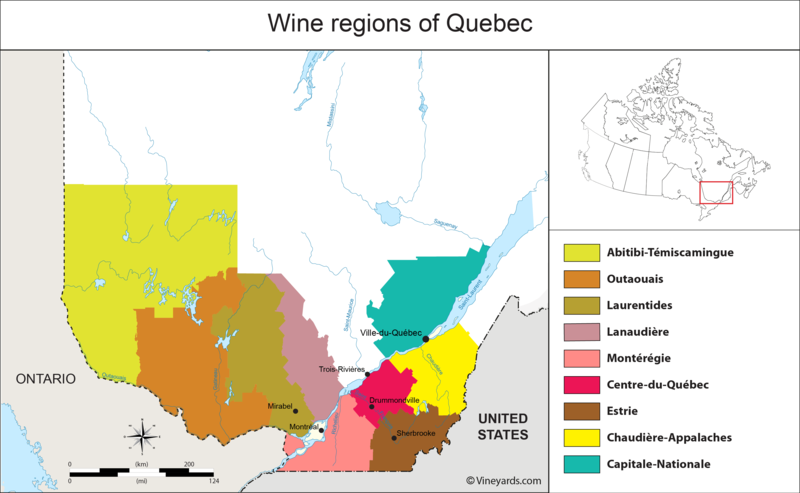 The vineyards areas of Quebec, Canada.